Check out this beautifully detailed model that’s as stunning as it is unusual! Built and flown by Jo Nüsseler, the 74-inch-span model of a Polikarpov I.16 is powered by a Saito 3-cylinder 450 and weighs 25 pounds. The fighter is painted in the scheme of the Soviet’s 4th Squadron, 72nd fighter regiment that helped to repel the German invasion of Murmansk in August 1941. 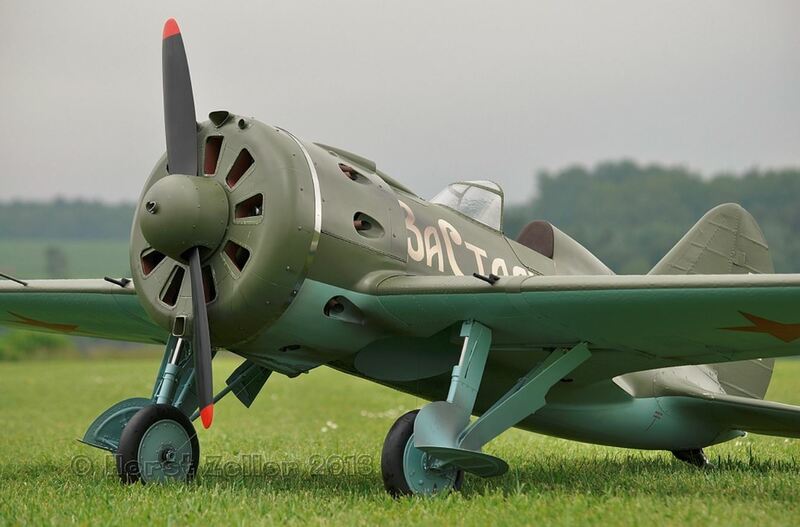 It’s also interesting to note that when it was developed in the ’30s, the Polikarpov I.16 was the first operational monoplane with retractable landing gear, paving the way for the sleek warbirds that came after it! Our thanks to RCScaleAirplanes for taking this great video and sharing it on YouTube. very nice model of a difficult subject, engine sound is very much like the full size aircraft, full size is very difficult to fly so well done on flying the model. Did he touch down just before that drainage swale and jump right over it? If that’s what happened, he’s a lucky man. Could have torn the gear out of that beautiful model on it’s first flight. Congratulation to the builder and pilot. Fantastic model. The Polikarpov I.16 looks like a 33 gal garbage can with wings, typical USSR WWII design until they started ripping off plane designs from the West. I’d find it hard to believe that the German pilots didn’t have any problem knocking the Polikarpov I.16 out of the sky with impunity. Too bad that beautiful FW-190 failed and crashed. Good evening I like very much your plane or is he(it) possible to buy him(it)?